On the hunt for the best skin lightening body wash? To be honest, most of the best products to brighten and lighten your skin in the shower are skin whitening soaps. They're convenient, loaded with great combinations of natural skin lighteners and are really affordable to boot. The only downside to whitening soaps is that they can be drying. Which is why if you have dry, flaky skin or you're currently in the winter months, you may want to opt for a body wash that's formulated with more moisturizing ingredients. So what are the best ones to pick? Here's what you need to know about choosing the best skin lightening body wash! What's the Best Skin Lightening Body Wash? Here's the thing: body wash only stays on your skin so long. Even if you covered yourself in suds and hung around for awhile, it's going to be 10 - 15 minutes. Tops. That doesn't give the melanin-blocking ingredients found in even the best skin lightening body wash much time to do its job. That's why we think the best skin lightening body wash is actually an exfoliating one. And not a grainy, manual exfoliator - nope, we're talking about chemical exfoliation. Chemical exfoliants like alpha hydroxy acids (AHAs) and beta hydroxy acids (BHAs) go above and beyond what what you can get with a scrub. Whereas manual exfoliants like sugar scrubs and loofahs can only polish surface skin cells, chemical exfoliants penetrate deep into the skin to gently "unglue" dead skin cells and slough them off your skin. The result? 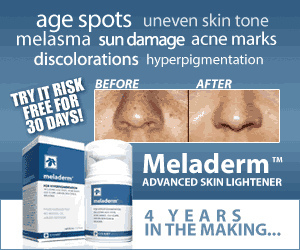 The peeling away of dead, rough and uneven layers of old skin reveals new, lighter and more even skin underneath. Even better - the skin lightening cream or lotion you use after the exfoliating wash will soak in and absorb a lot deeper. And since you'll be wearing that cream for hours, you'll get overall much better results. That's why we recommend opting for an exfoliating body wash that gently but thoroughly exfoliates your skin and then pairing that with a body cream that's loaded with skin lightening ingredients afterwards. So what are the best exfoliating body washes? If your skin isn't too sensitive and can handle it (or if you live in a more humid, warm climate), go for Glytone's Exfoliating Body Wash. This body wash contains a whopping 8.8% glycolic acid, which has the smallest molecules of all the alpha hydroxy acids (AHAs) allowing for deeper penetration into the skin. That means it's not just helpful for lightening skin and evening out hyperpigmentation - the skin cell turnover it stimulates also improves fine lines, acne, blackheads, oiliness and brightens overall skin tone. The downside, of course, is that it can be drying, especially if you already have dry or sensitive skin. In which case, you'll do better with Mario Badescu's A.H.A. Botanical Body Soap, which uses natural grapefruit and papaya enzymes to exfoliate and speed up cell turnover. The result is a very gentle exfoliation without drying out your skin. Of course, you don't just have to stick to exfoliating. If you want a skin lightening body wash with active lightening ingredients, there are a few good ones out there and you can always switch between an exfoliating wash and a skin lightening body wash. Speaking of which, here are your best bets! Raphe Pharmaceuticals has some really solid, professional strength skin lightening products but many of them require at least some DIY skills. Not so with this one. Their Kojic Body Wash is hands down the best one out there. It's composed of liquid black soap - which is a great, natural cleanser for acne, by the way - and contains a potent combination of natural skin lighteners like kojic acid, alpha arbutin, licorice root extract, niacinamide, and bearberry extract. On top of that, it even includes both AHAs and BHAs to speed up skin cell turnover and help the skin lightening ingredients penetrate more deeply. In case that's all sounding great but a little harsh on your skin - the body wash balances it out with a base of Shea butter and olive and soy oil to soothe and moisturize your skin in the process. Oh, the body wash even comes with a ﻿free﻿ bottle of HP Bleach Oil, which is a super concentrated skin lightening oil that you can mix with your regular lotion or cream. It's full of whitening and exfoliating ingredients like pearl powder, alpha arbutin, kojic acid, glycolic acid, and retinoic acid. But it's real power lies in a whopping 30% concentration of vitamin C and a 25% concentration of Sepi white, which is a trademarked whitening solution that prevents metabolic activation of tyrosinase, the enzyme responsible for melanin. Used alongside AHAs, it's been shown to achieve flash lightening in as little as 7 days. Just keep in mind, though, that this bottle is small but potent so start by mixing it with a lotion or cream instead of applying it straight to your skin. The Kojic Acid Body Wash is great but if you have more sensitive skin and need a gentler skin lightening body wash, Makari's Lightening Exfoliating Body Wash is a better pick. True to its name, it exfoliates using a smaller concentration of glycolic acid and citric acids as well as micro-crystal beads for manual exfoliation. It also contains a load of natural skin lighteners like licorice root extract and vitamin C, but most of its skin lightening benefits come from mulberry root extract, which has been shown to effectively inhibit melanin production (even better than kojic acid). The best part is that mulberry root extract has been shown to be gentle and non-irritating, even at higher concentrations. That makes this the perfect skin lightening body wash for sensitive skin. Last but not least - this whitening body scrub isn't a cleanser, per se, but it does do the two things you're looking for: it exfoliates and it whitens. Formulated with a bunch of natural skin lightening ingredients - Glutathione, Rosehip, Alpha-Arbutin, and Kojic Acid - this body scrub also provides manual exfoliation with sea salts as well as chemical exfoliation with glycolic acid and lactic acid. And despite its lightening and exfoliating properties, it's also pretty darn moisturizing, thanks to the combination of olive butter, sweet almond oil and rosehip oil. Overall, a sweet way to pamper yourself in the shower a few times a week while getting brightening and lightening benefits.